“Dry” or “slack” containers which were made to hold and ship dry goods such as nails or tobacco. “Dry-tight” containers which were made to keep the materials inside the container dry and keep the moisture out. This was important with flour and especially important with gunpowder! “White cooper” containers which were made to hold butter or liquids like milk or water for carrying but not for shipping. These containers were usually tubs, bucket, or churns. 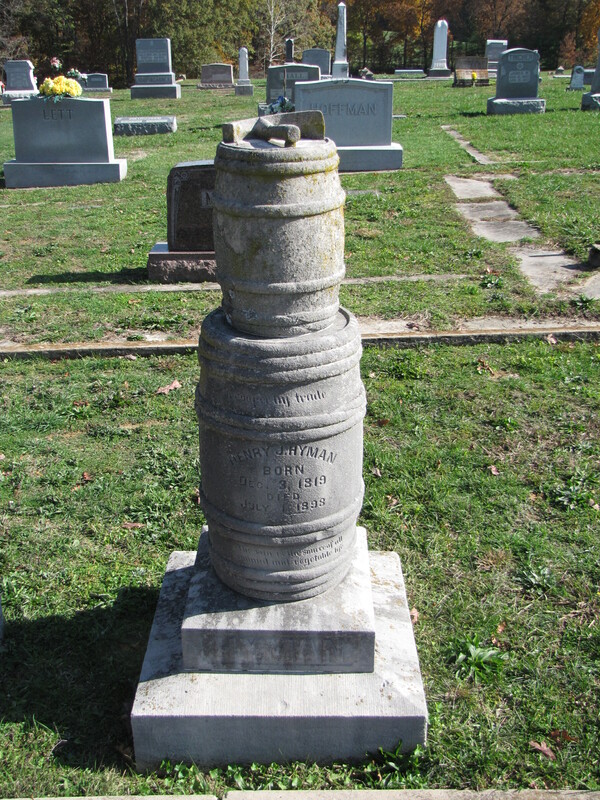 The staves in these containers were almost never curved. “Wet” or “tight” containers which were made to hold and transport liquids often for long periods of time like beer or wine. Today, coopers, like wainwrights, have mostly become obsolete with the exception of barrels and casks made for the wine industry. Over a hundred years ago, however, being a cooper was a trade at which a man could make a living. The gravestone in the Goodwill Cemetery at Loogootee, Indiana, bears witness. 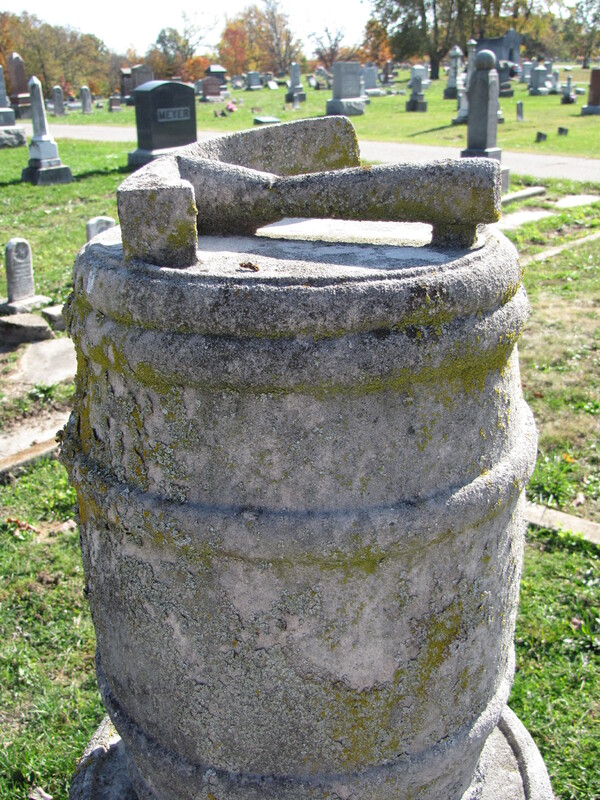 The limestone monument is carved to resemble two barrels stacked on one another with a cooper hand adze still resting on the top barrel almost as if Mr. Hyman left it there himself.